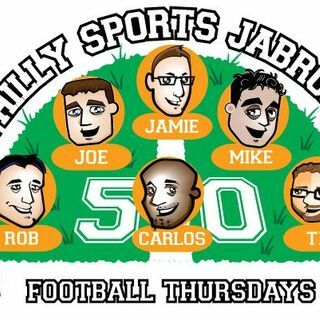 Philly Sports Jabronis: Bleeding Green … And Red? The Philadelphia Eagles finally ran out of magic in the NFC Divisional Round in New Orleans, but they certainly kept it interesting up until almost the last minute. We break down the most recent of gut-churning games for the Birds, make our peace with the ending of what in some ways will be an era and get our act together in time to dissect who we will be rooting for the rest of the way. Will it be the former coach? Will it be the evil “empire”? Will it be the Saints who just beat us? Or will ... See More it be the “other” quarterback of the 2016 NFL Draft? We sift through everything, and consider the gambling opportunities as the 2018/19 campaign winds down. Recorded live from Nippers. Listen!